I am a F2P player who has been using Mortar all the way since 2400 trophies, therefore I have a fair amount of knowledge of this card. I want to say that this post is not meant to be teaching you how to use Mortar- of course, we will be covering that briefly,– but the point is to prove that Mortar is one of the best, if not the best card for F2P players like me, and hopefully get more people to use it and realise the Mortar’s true power. 11/1/16, decreased the Mortar’s lifetime to 40 seconds. 2/2/16, decreased the Mortar’s cost to 4 (from 6), its damage by 40%, its lifetime to 20 sec (from 40 sec), and its range decreased to 12 (from 13). 9/2/16, increased the Mortar’s lifetime to 30 sec (from 20 sec). 3/5/16, increased the Mortar’s deploy time to 5 (from 3) and decreased its damage by 10%. This update also fixed the “range bug” and decreased the Mortar’s range to 4.5-11 (from 5-12) but its effective range is unchanged. 21/6/16, decreased the Mortar’s deploy time to 4 sec (from 5 sec). 15/12/16, increased the Mortar’s Area Damage radius by 11%. This changes the Mortar’s Area Damage radius from 1.8 tiles to 2 tiles. 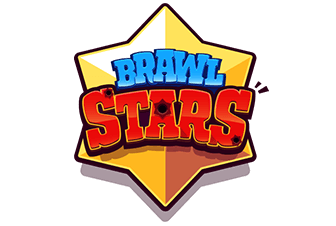 11/8/17, decreased the Mortar’s deploy time to 3.5 sec (from 4 sec). 24/1/18, decreased the minimum range from 4.5 to 3.5. You’ve reached a mark; say 3k, where your deck stops working. You might be underlevelled, the meta doesn’t fit the deck, the deck is hard to level up to a reasonable level for the ladder. So, now you’re thinking- why should I use Mortar? You might think other win conditions – for example Hog, which are better, but that’s fine- what if I told you that you can use both Mortar AND Hog in one deck? We will be covering this aspect of the Mortar in the next part. Hog Rider: Hog Rider remains to be an insanely strong and popular card, at all levels. Typically, he is upgraded in a deck similar to what the Mortar deck uses, with a few cards switched up. Giant: Giant hasn’t been that strong lately in a Tournament Standard environment, but he is still a viable Ladder choice. With a good deck and some skill, Giant can dominate at all levels. Royal Giant (? ): Royal Giant has been nerfed numerous times and lost his spot in the meta. You can still take the RG path, but it will take a lot of time AND practice to master a Royal Giant deck. Graveyard (? ): Graveyard got hit very hard with the recent nerf, as well as the Bats buff. It is still a used win-condition on ladder, but it will take more skill to use. Additionally, you can use both Mortar and Graveyard in one deck (which was a very popular combo last month around 5200 trophies). If you want to focus on only using one win-condition in your deck, we will list the cons and pros of choosing Mortar over its rivals. We will only be focusing on Giant and Hog Rider because both RG and Graveyard are in a pretty weak state at the moment. 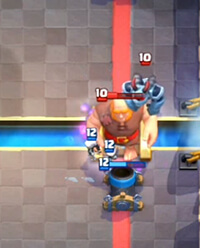 Mortar and Hog Rider use similar support troops in a deck – Knight, Archers, Goblins/Skeletons, Ice Spirit. This means that if one gets nerfed, it won’t usually take that much time to switch and level up the other win-condition. My main argument for this one is the fact that Mortar fits in a lot of decks, which might surprise a lot of people. Graveyard becomes meta? Hog will be in trouble, but the Mortar user can just switch in Graveyard into his Mortar deck. RG becomes meta? Both decks will have a better time because Knight and Archers are commonly used in RG decks, but the Mortar user will have an advantage because Mortar can be used with RG for a pretty annoying combo. Lava Hound becomes meta? Believe me, I’ve used Mortar in a Lavaloon deck before. Another factor is that Hog takes more time to max (approx. 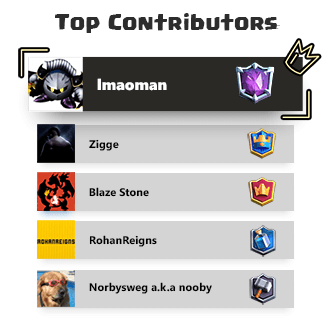 one year to request from tournament standard) while Mortar is a common. As I already said – Giant is a high skill cap card, but when used correctly he can dominate. Giant’s main problem is that he requires rather specific supports which are hard to level (usually) and don’t fit into other decks. You are slowly mastering Giant, when he suddenly becomes meta. You have a higher skill on this card than others, and you quickly rise 300+ trophies. But in the next balance changes, Giant gets nerfed hard. And now what? You will still use this card, but nowhere near as effectively as when you were using it before the buff. You are stuck with a deck that only works with Giant, and the rest of your cards are underlevelled. You will have to invest 500k or more gold, and a lot of time to get a proper ladder deck without Giant. Of course, this scenario is completely hypothetical. Just like Hog, Giant is a rare and takes a long time to max and especially with a deck that uses supports like Mega Minion, Bowler, Wizard, etc. I was saving this for the end, because I didn’t think eBarbs are worth mentioning as a win condition. If you’re thinking about taking the EB road… don’t. It’s not worth it. eBarbs are only a semi-win condition. When you reach Masters, your eBarbs will hit the tower once in a season… okay, maybe a bit more, but you get my point. Just like the Royal Giant, Elite Barbarians went through numerous, probably undeserved nerfs and just lost their spot in the meta. Knight, Goblins and Archers, which are probably among the most popular ladder cards in higher leagues, all counter eBarbs ridiculously well for half or less than the Ebarbs’ cost. Tell me, how do you view Mortar as a card? Just a siege win condition? Wrong. Mortar can fill a variety of roles in a lot of different decks, from a simple win-condition to a defensive building. What makes Mortar, unlike the X-Bow which is strictly a win condition because of it’s 6 elixir cost, so special is the cheap cost and it’s deadzone. Basically, the deadzone is a small circle around the Mortar, where Mortar can’t target enemies. You should know that by now. Well, you might think this is a negative thing, right? What’s the point if it can’t target troops that get close to it- it can’t defend itself! Let me explain- the deadzone allows the Mortar to lock on to your opponent’s Arena Tower much easier- and in most cases, that’s what you want the Mortar to do, anyways. Let’s cover the things Mortar can do, as a card, as well as the roles you might put it in your deck for. Thanks to the beautiful deadzone, you can place your Mortar in a spot where it distracts your opponent’s cards, but still fires at the tower. 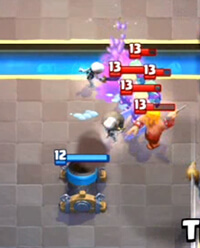 One Mortar shell at Level 12 does 303 damage – if you’re defending a Hog with Mortar and Skeletons, you’ll usually get 2 shots for -1 elixir. That’s a good deal! Maxed Mortar has 1854 HP. For comparison, a max Hog Rider does 384 damage per hit, or 6 hits for the Hog to kill. At 4 elixir, this is a relatively large health pool, making Mortar a good defensive card. Versus Royal Giant, Mortar can be placed in a spot where, with good timing, the RG will be in range of your Arena Tower, but he will be standing in the deadzone and your mortar will target their Arena Tower, resulting in some juicy chip damage. Additionally, when you’re going againist a Giant with ranged supports, the Mortar will distract the Giant, but still attack their glass cannons. Mortar is a surprisingly good punishing card. Let’s say you’re using Mortar + Hog. You are also running Zap. They start a Golem in the back, but you know they have Goblins in hand. If you play your Hog, he’ll only force 2 elixir out and land 2-3 hits. But in this situation, placing a Mortar will either force out a more expensive response, or do lots of damage to their Arena tower. Admittedly, this does bring your building out of cycle, but based on the rest of your opponent’s deck it can be really worth it. This isn’t the only situation; Mortar really destroys your opponent when they start a Lava Hound in the back; Goblin Gang gets destroyed by the shell, or simply logged. Tombstones get logged. Minions- Arrowed. Mega Minion gets distracted by Knight/Skeletons. The only part where you’ll have trouble is double elixir. Mortar destroys all ground swarms on defense, from Skeleton Armies all the way to Barbarians. The splash damage kills any low-health swarms, and more bulky swarms (most notably Barbarians) are slower, and also get destroyed. Now, the “Anti Building” part may confuse you (might be worded a bit poorly on my end, but I had no other way to put it). So, let’s say you plant a Knight in the back and get ready for a Hog push. But then, they play a pre-active Inferno Tower. Play Mortar in the center of your side and it starts chipping away at the Inferno, and when your Knight reaches the river you’ll be able to safely play a Hog. 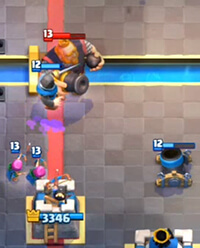 Mortar destroys Pumps placed in the middle, giving a good synergy with Rocket. Additionally, when the Mortar is done with the pump, it might get a shot or 2 off their Arena Tower. 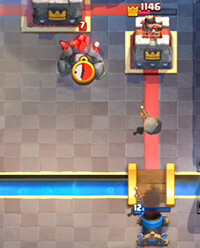 Mortar does poorly versus Goblin Hut and Barbarian Hut, and requires rather specific timing against Furnaces. These 4 are the main reasons you should put Mortar in your deck right now and start learning it. You won’t be disappointed! This has been an example multiple times in this post- naturally it has a good synergy because Mortar provides an alternative win-condition and tanky defense versus swarms (which Cannon and Inferno do pretty poorly). Above is a classic Hog + Mortar deck for you. This is still useful, but it will take more skill because Graveyard got nerfed. Graveyard synergises with Mortar decks because they have a natural tank for the Graveyard (Knight) and the same synergy Hog decks have. 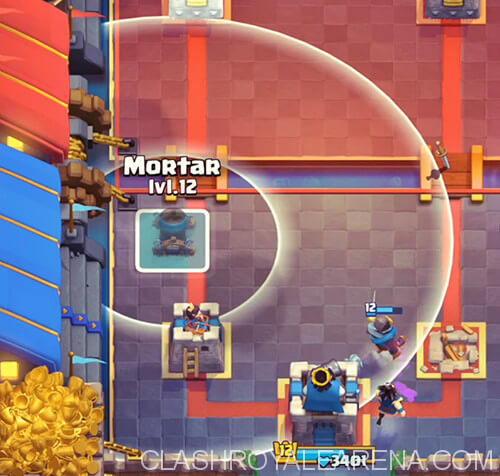 Mortar provides an alternative tower killer and tanky defensive building. This is surely a hated combo, but it can work, even with the RG nerfs! 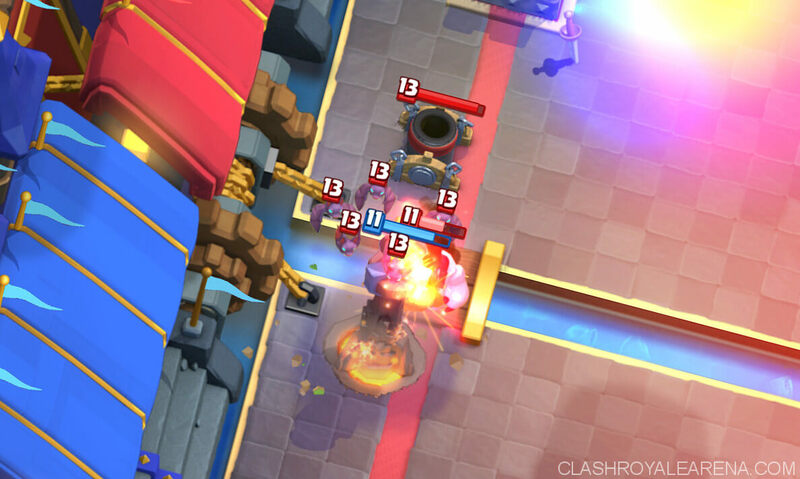 Royal Giant will be naturally used as more of a punishing card, while Mortar does most of the work. I lost to this deck pretty bad on ladder once. This is an interesting concept, but I’ve never tried it personally. This deck is currently being used a lot in high Arenas so if you’re interested in that check it out! Mortar is an extremely flexible, versatile common card that fits into a variety of different decks as a variety of roles. It can work as a punishing card, a defense or simply a chip damage card. Upgrade it, put it in your deck and start requesting today – you’ll be pleasantly surprised on what it can do! 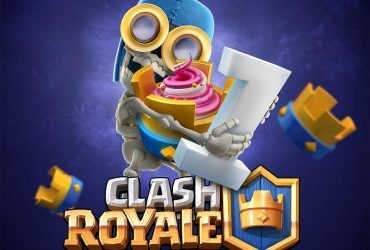 History of Clash Royale – 50 Amazing Facts! 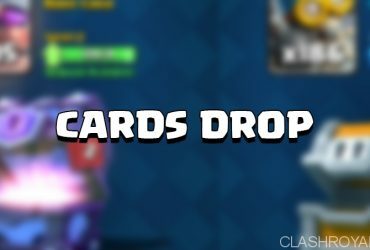 How Clash Royale Cards Drop!